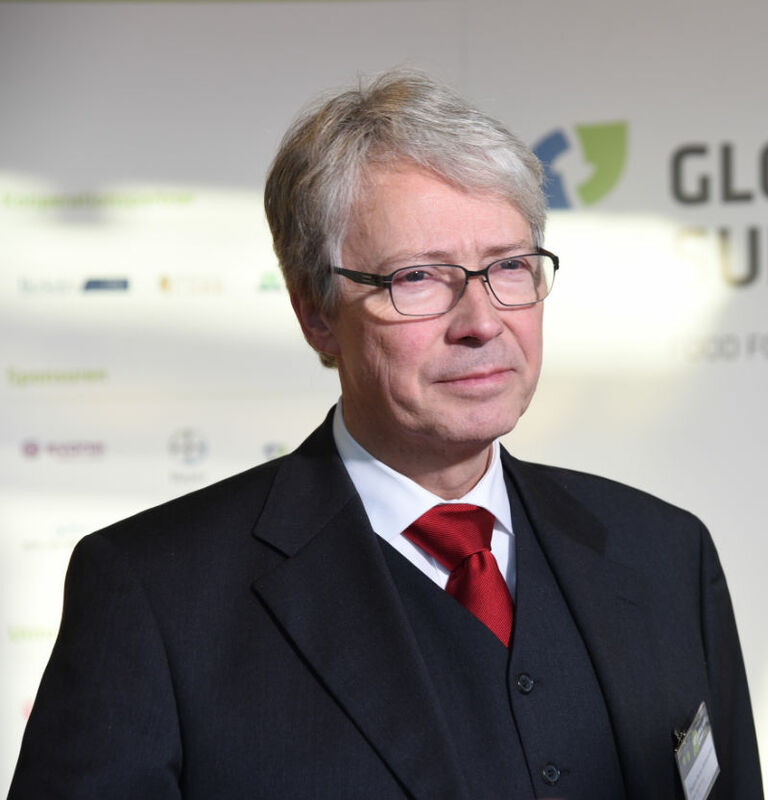 The Global Food Summit 2019 was attended by 250 representatives from politics, media, business and society. 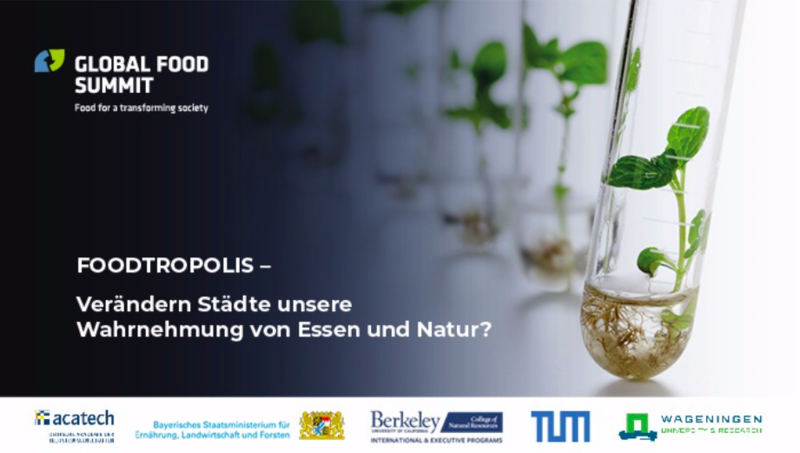 During the two days of the conference they discussed the topic: "Footropolis: Are cities changing our perception of food and nature? In our summary, written by Saahil Parek, researcher and entrepreneur for food systems from India, you can read who spoke on our two conference days – and about what they spoke. 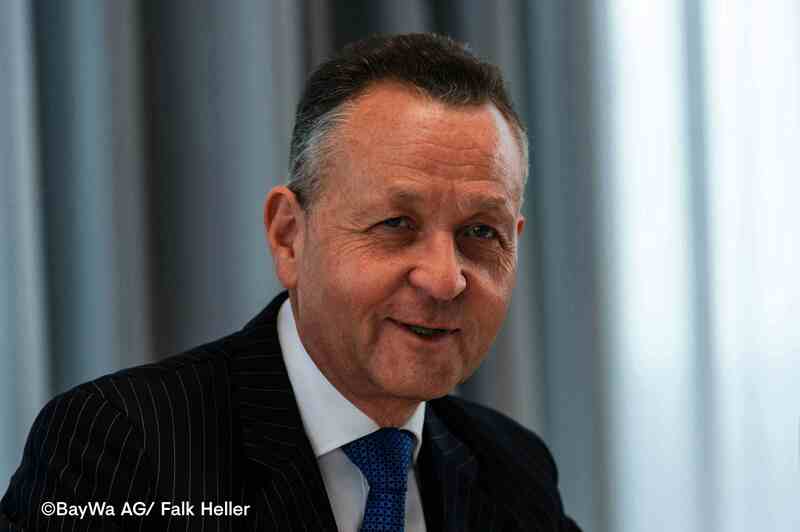 "We are moving towards personalized nutrition," says Stephan Becker-Sonnenschein. In the interview with the german radio station "SWR Aktuell", he explains exactly what this personalized nutrition will look like. *Please note that the interview was made in german. Three Guelph-area agri-innovation companies are being showcased at a Global Food Summit in Germany this week. That includes Quinta Quinoa of Rockwood, Ontario. Anne Toner Fung of Innovation Guelph is with them in Munich and joined "The Morning Edition", a podcast, to discuss what taking part in the summit means for this area. Ubermetrics analysed communication patterns about selected food innovations in Europe and North America. 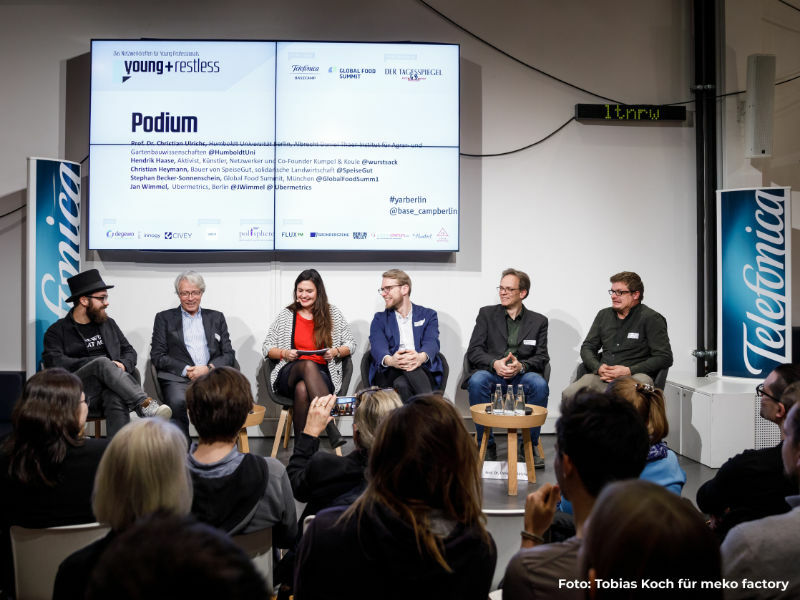 The Burda Bootcamp connects start-ups, entrepreneurs and groups on different platforms. Our youngest media partner will host our evening event on 19 March 2019 in the run-up to the Global Food Summit. BayWa is sponsor of this year's Global Food Summit. 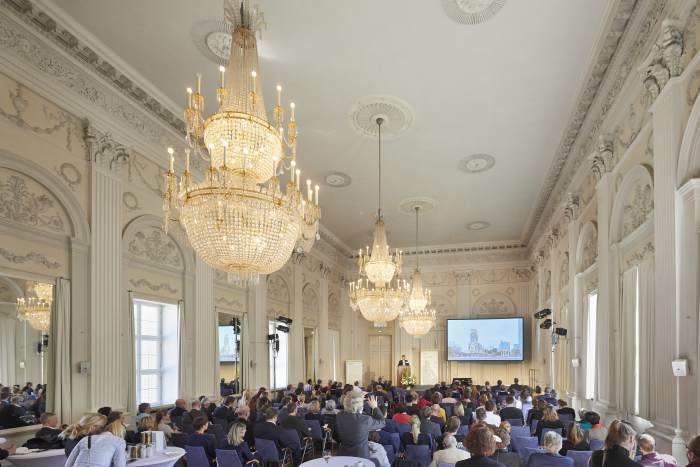 The corporate headquarters in Munich will host our previous event on 19 March. 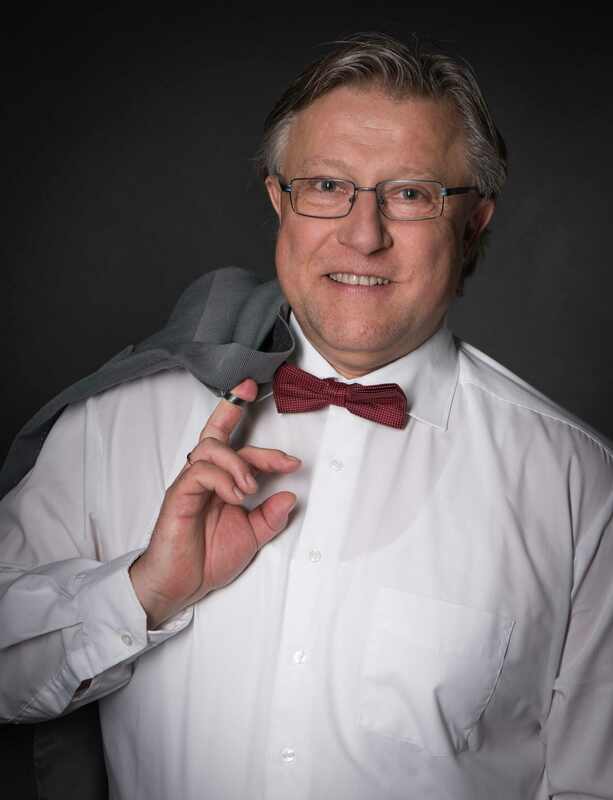 In addition, CEO Klaus Josef Lutz will present the start-up session. We took the opportunity to ask a few questions. 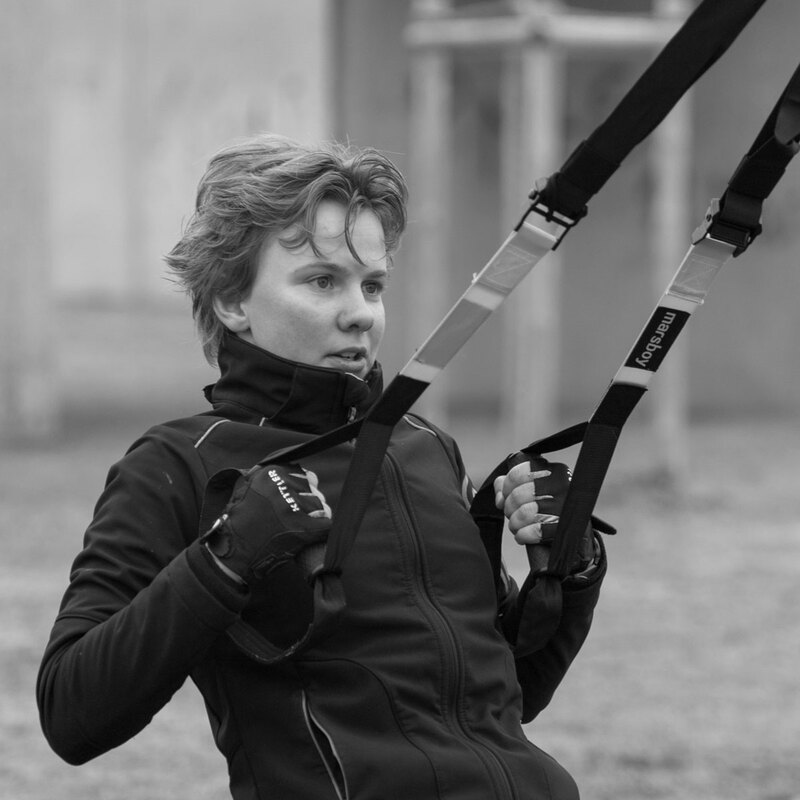 In an interview with Eva Piepenbrock from f3 – farm.food.future. Stephan Becker-Sonnenschein compares the food start-up scene in Germany and internationally and comes to the conclusion that more venture capital is used internationally and a higher risk is accepted. He also talks about internationally important issues in the agricultural and food sectors and the potential of urban farming. Saahil Parekh researcher and entrepreneur in food systems from India und Stephan Becker-Sonnenschein, Head and Founder of the Global Food Summit, met at a quaint café in Central Berlin, were they had a conversation about the transitioning food sector across its length and breadth. 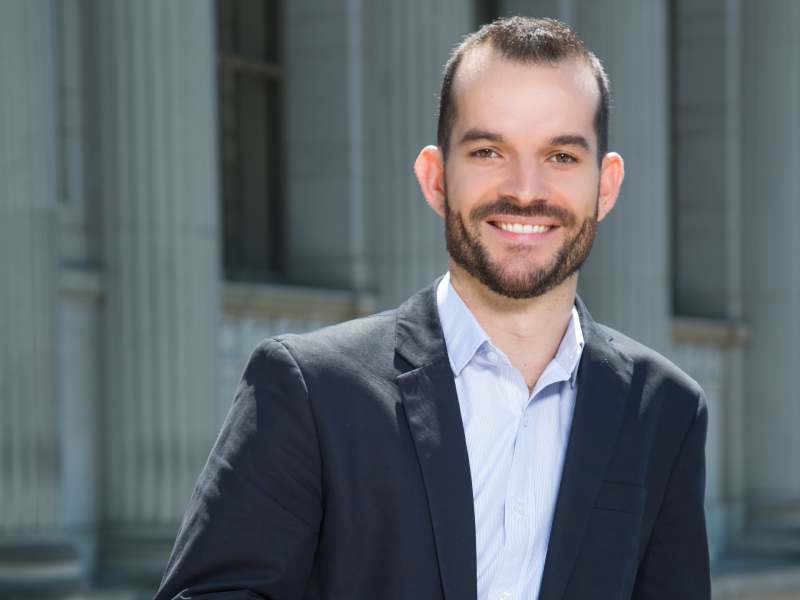 Our youngest member of the Global Food Summit Board of Trustees is acatech – the National Academy of Science and Engineering. It is sponored by the German Government and the national voice of engeneering in and out of Germany. 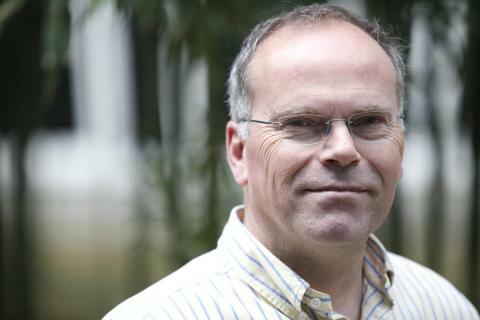 The acatech gives advice to politics and society when ist comes to questions of sience and the future of science and engineering. 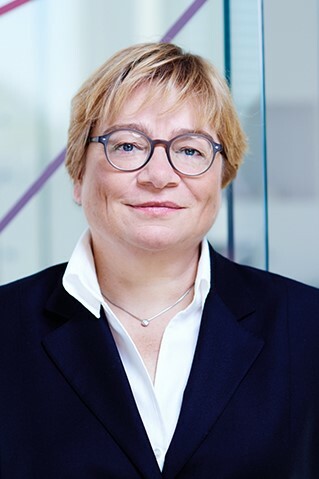 We asked some questions to Prof. Martina Schraudner, the acatech member at the Global Food Summit Board of Trustees. 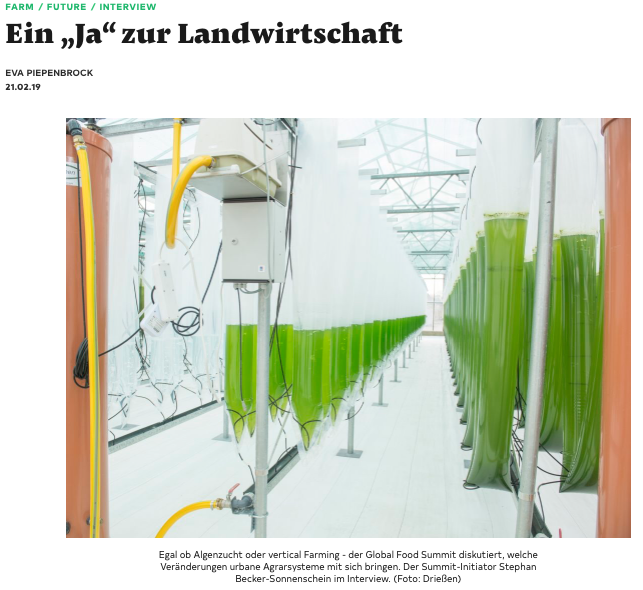 Essay in the online magazine Novo: Will the future of agriculture take place in the cities? 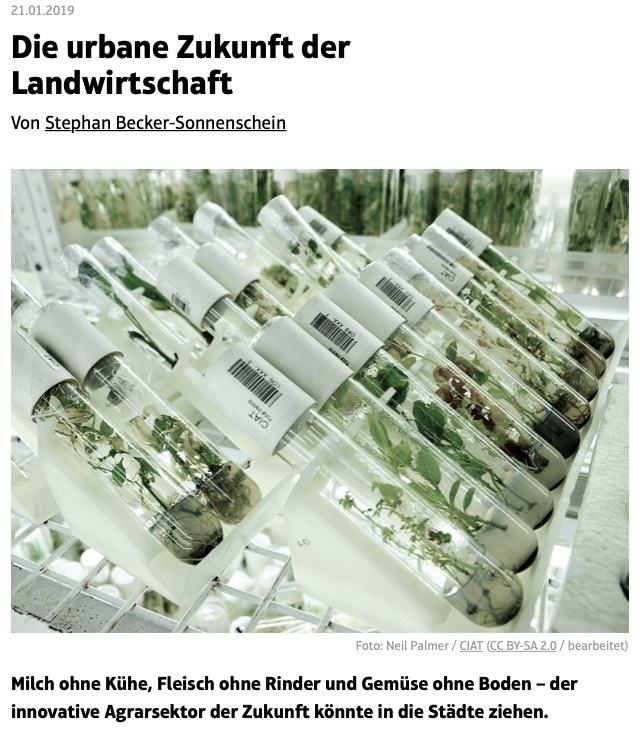 Stephan Becker-Sonnenschein has published an essay in the online magazine Novo about "the urban future of agriculture", examining whether the innovative agricultural sector of the future will take place in cities rather than in rural areas. In fact, the chemical specialist Evonik is better known for its high-performance materials. But the company has also been active in the food industry for years. 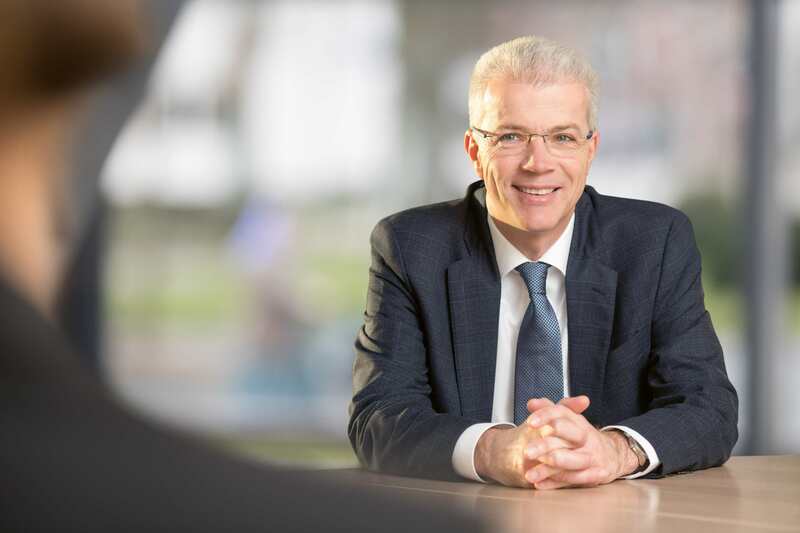 Dr. Michael Binder is responsible for sustainability in the Nutrition & Care segment and talks in an interview about the contribution and importance of this topic for Evonik. The world's population is growing. More and more people are moving to cities. What does this mean for nutrition? A discussion about vegetables in containers and free-range lettuce. Canada will be participating in the Global Food Summit in 2019 through the City of Guelph, Wellington, and present their project "50x50x50 by 2025 - Creating Canada's first circular food economy". 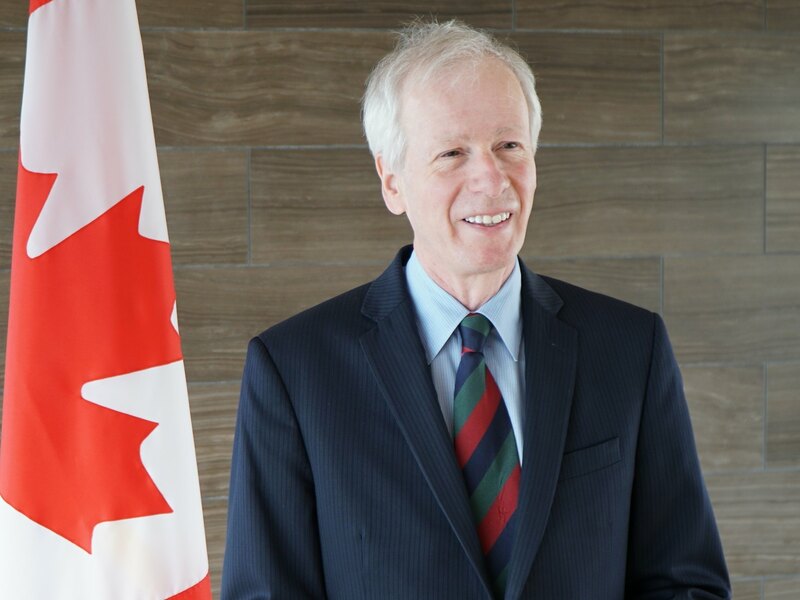 We spoke with the Ambassador of Canada in Germany, His Excellency Stéphane Dion. We asked Samuel H. Sternberg about his perception on the latest breaking news on China and CRISPR babiesSamuel H. Sternberg runs a research laboratory as an assistant professor at Columbia University in the Department of Biochemistry and Molecular Biophysics and is an expert in CRISPR and gene editing technology. 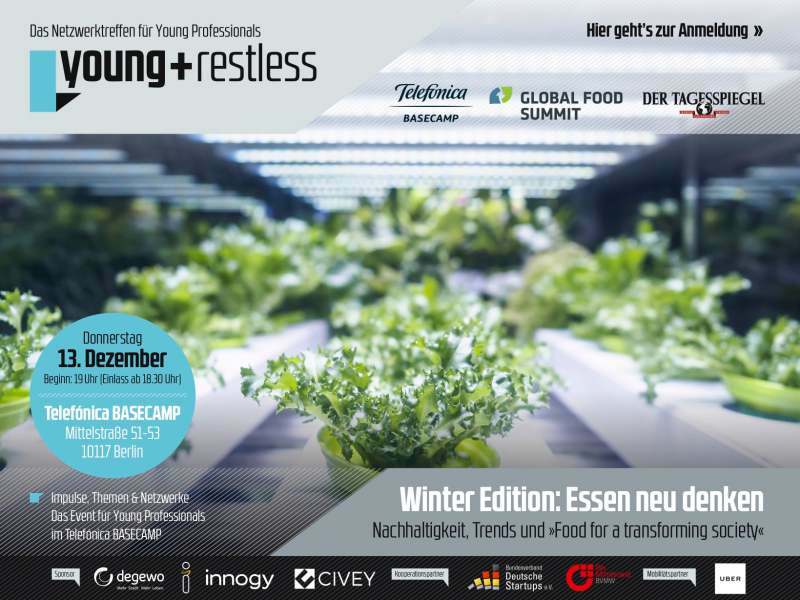 The Global Food Summit invites to the Telefónica Basecamp event "Rethink Food", taking place December 13, 2018 at 06:30 pm in Berlin. 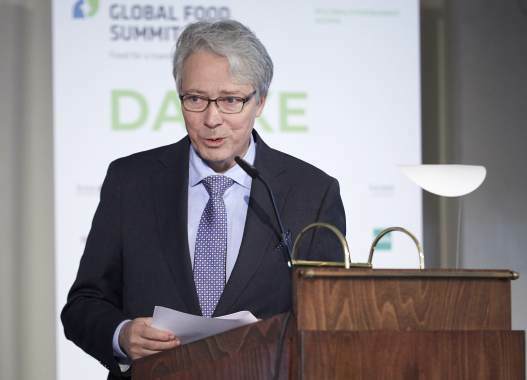 An exciting kick off of the Global Food Summit in March. Click here to sign on! In December, the fourth international conference "Cultured Meat" will take place in Maastricht, the Netherlands. 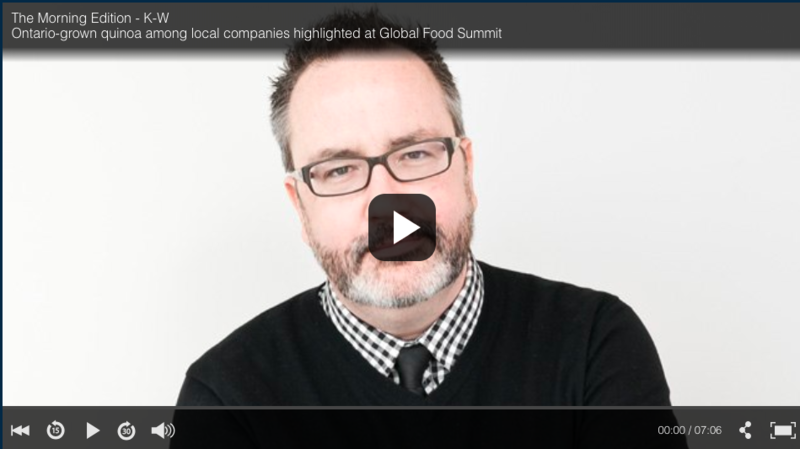 The Global Food Summit interviewed Mark Post, Chief Scientific Officer of Mosa Meat, on his assessment of clean meat. 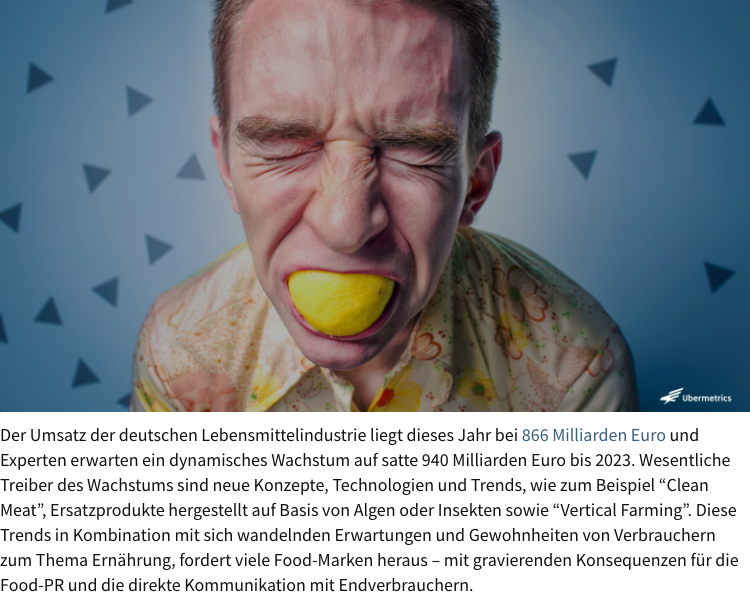 A study conducted by the Justus Liebig University in Gießen on behalf of the Heinz Lohmann Foundation and published in July 2018 revealed that, overall, Germany remains an attractive location for agricultural and food sector enterprises. During the period from June to October 2017, the institute carried out three rounds of surveys, amounting to a total of 234 interviews with experts from the following four industries: baking, brewing, dairy, and poultry. 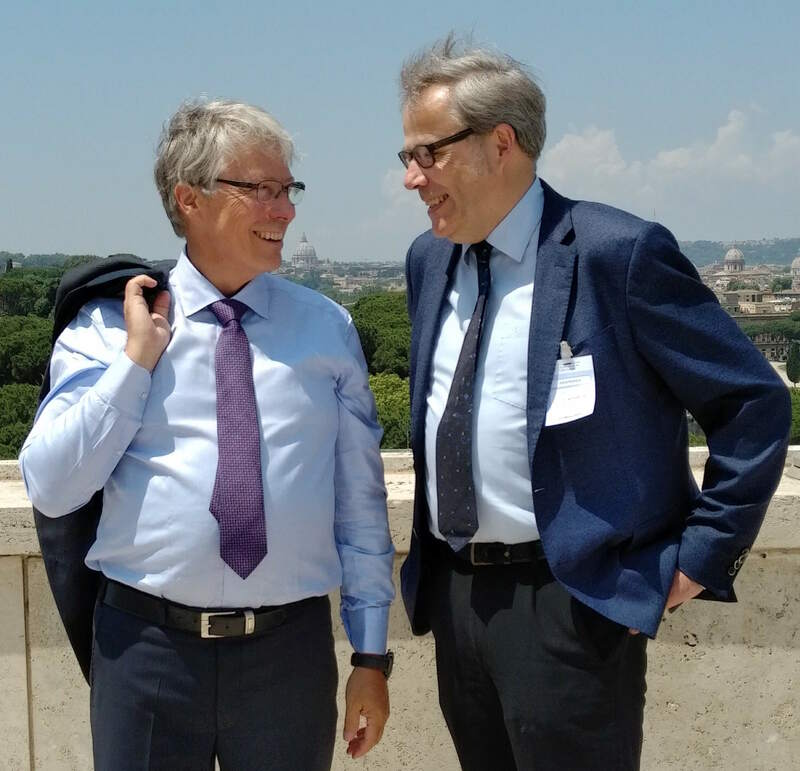 The curators of the Global Food Summit, Prof. Justus Wesseler from the University of Wageningen and Stephan Becker-Sonnenschein, head and founder of the Global Food Summit, visited the FAO in Rome on the 25th of May to speak in front of more than 150 people about "Foodtropolis - Will Cities Shape our Perception of Food and Nature?". The production of meat and fish from stem cells is coming closer to reality. Several companies invest in this technology (NRC). The technology looks promising and appealing. Animal meat produced without slaughtering cattle, pigs, chickens, or catch fish from the ocean avoids issues related to animal welfare and declining marine biodiversity. The environmental impacts related to animal production such as greenhouse gases emissions and disposal of manure are other potential benefits. ?The technologies, however, at this point time are still far from reaching the market in substantial amounts, and it is difficult to predict when this will be.